I was intrigued: it still seemed like an interesting experiment. What would it look like if I got Rubicon into the hands of 10,000 people (albeit for basically free)? I wasn’t able to find any postmortems from devs who worked with them, but online traffic estimators put Bundle Star traffic between 100K and 1M views a month. So we bit, signed the contract, and handed over a buttload of Steam keys, and sat back. > Duration: The bundle ran for two weeks, from Oct 28 – November 11. > Sales: ~6,500 bundles. I don’t know what the deal with this was. They claimed that they expected to sell 12,000 – 20,000 units. Did they just egregiously overestimate? Was it as unexpected for them as it was for us to only move half of their lower bound? Disappointing, to say the least. 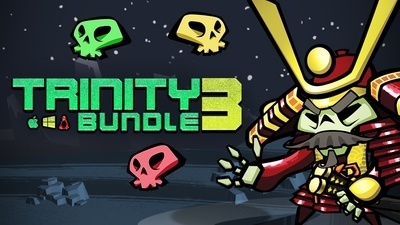 > Promotion: At some point, I realized it wasn’t in my interest to talk about the fact that the bundle existed. The primary value in participating in it was to reach people I couldn’t otherwise, and it would be better for me if anybody I could reach purchased the game for more than 16 cents. I was hoping that getting it into a couple thousand more people’s hands (remember, we’ve only sold a couple hundred so far) would get people talking about it in non-Steam forums, tweets, anything. So far? Literally nothing. I suspect that bundling with so many other games actually was harmful, and that any attention it gets from a customer was (literally) decimated by the nine other games. > Community: There was a small increase in the amount of tech support that cropped up on the Steam forums. People particularly seemed to demand better controller support, which up til that point wasn’t something I had focused on. It was a little galling to have a few aggressive demands for features when they’d picked the game up for pennies, but respecting the feedback has made the game stronger. > Key “Redistribution”: I didn’t know this, but apparently there’s a healthy market for people to trade/give away Steam keys. Dunno how I feel about this. I guess there’s not much of a difference between 16 cents and free, and I’d rather see somebody get the game and be enthusiastic about it (preferably somewhere publicly & searchable) than to see the key languish forever unplayed in somebody’s library. On the other hand, it definitely seems skeezy for sites pick up an unused key on the cheap and then turn around and sell it for a tidy profit. But I guess that’d be fine to do if they were physical copies? Like I said, I’m conflicted. > Overall: I mean, it was nice to get a couple thousand more people playing the game. But this kind of “deep discount” bundle is not something I would choose take part in again, especially if I didn’t have a day job. I want to be clear that this isn’t meant to be a castigation of Bundle Stars specifically; besides the overestimation, they have been prompt & professional in communication and payment. And hey, it was a quick bundle of cash. Almost made a month’s rent. That’s it! Let me know on Twitter or in the comments if you have any other questions about the experience. Trislar: Looking at it more closely, the game with the greatest pull (StarMade) was just bundled one month before (and at a $1 tier at that). Actually the response to that bundle was fairly positive overall. Missing or already bundled bigger/more known titles have stopped it from reaching a higher sale number I’d say. Those that were new to bundles were smaller, less/not known ones, while overall positively reviewed (though <50 reviews is extremely unreliable), did not stand out significantly for a wow effect. The (bundle) competition is most certainly very important too, and Humble had a major one running at the same time. Just with a glimpse on the games, manybig titles and new-to-bundles at that. Many more than usual have bought the more expensive tier 3. It sold 220k with an overall revenue of $1.2mil. Trislar: My recommendation generally (if you have the luxury on not being dependent on the game making money, that is) is to always have some major sales first. Steadily increasing from 25/33% to 50% and then 75% over the course of around a year participating in the big seasonal sales with a new price drop and throwing in a daily or weekly deal in between. Then after having reached a 75 or 80% discount it is time to catch the remaining customers in a bundle. Preferably a Humble one, but they are picky. Mduh: First I would start by putting my game for 33->50->66 and finally 75% sale on steam on intervals, maybe even start @ 33% as a release discount price. For an indie game that I never heard(or suggested) and a game name/picture that doesn’t clique at me in first glance, 66% is the lowest discount where I put a 2 minute attention on the game’s store page: watching the trailer in full, reading the description and if the game “somewhat” interest me, I check the game forums and reviews on the general reception on the game. This entry was posted in Rubicon, The Hustle. Bookmark the permalink. On the number of sales, I think there’s a mix of factors here. Bundle Stars might have overestimated it in the first place – it’s one of those bundles where the overall quality was quite good, but there wasn’t really anything there that would get people really excited about it compared to other bundles. I also think that Bundle Stars were going through a revamp around the time of your bundle, which might have caused problems for some customers, and they’ve been selling a ever growing amount of simultaneous bundles, so yours wouldn’t have been as prominent as before. It’s not uncommon to see posts from devs who kinda dump their game in a bundle – perhaps being oversold the potential by bundle providers – and are surprised that their game has then been devalued with not much else to show for it other than a quick cash injection, as if something else would magically happen. 16 cents per game sounds pretty bad at first, but when you consider how many of those players may never actually play the game, then the price is a bit higher per-real-player. Of course, you could account for the loss of potential regular price customers because they get the game in a bundle instead or trade for it, but there’s also other ways to increase the value (DLC, promoting future games, trading card fees, etc.) – thinking of it as ’16 cents per game’ probably isn’t going to be accurate in the long term, and it seems like it’s an unhealthy way to look at the value of those sales. Of course, if you’re going to feature a game in a bundle with the intent of spreading the word about your game/growing the game’s community, you’ve got to do some research on how different bundles work and how customers react to them, and have some kind of a plan for how to engage with those customers. I’m curious about which other bundles approached you. Bundle Stars are good at what they aim to do – well made site, always active, a range of varied, good quality games in their bundles – but they’re a weak bundle in terms of community reach, because they’re pretty much just a budget games store branded around bundles. These days, while the sheer scale of Humble unfortunately means they’ve always and will always be the most important bundle, Groupees is probably the best in terms of being in touch with the community. They do a better job of advertising the games in their bundles, and the chat box on their page sometimes plays host to interesting discussions – in fact, I saw this article (which has encouraged me, and probably a few others, to take another look at your game) from a link in their chat. Indie Royale was a special case – they had some pretty good bundles in their time and somewhat more sensible pricing, and being tied to Desura meant they had reason to be strong supporters of indie devs. They’ve been bankrupt for ages now though, and many devs ended up unpaid for their sales, so it’s kinda hard to compare them to others.